Every employer is required to have adequate back-up supplies when the stocks of their first aid materials run low. 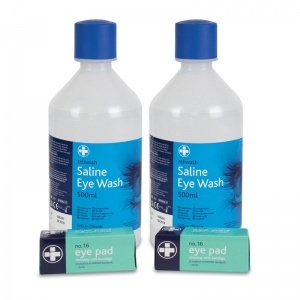 Use the Eye Wash Refill Pack to have on hand for immediate replenishment of materials as and when they are used up. Where mains tap water is not readily available in the event of an emergency, there should be at least one litre of sterile water or saline solutions (made up of sodium chloride 0.9%) in sealed, disposable containers. As an employer, it is your responsibility to ensure that eye wash provisions are available to avoid serious eye injury or infection. What is Included in the Refill pack? The sterile eye wash solution is designed for easy irrigation and flushing of the eyes when they have been exposed to chemicals or small foreign objects. The pads can be used for dressing the eyes after cleaning to let them settle while they are still sensitive. 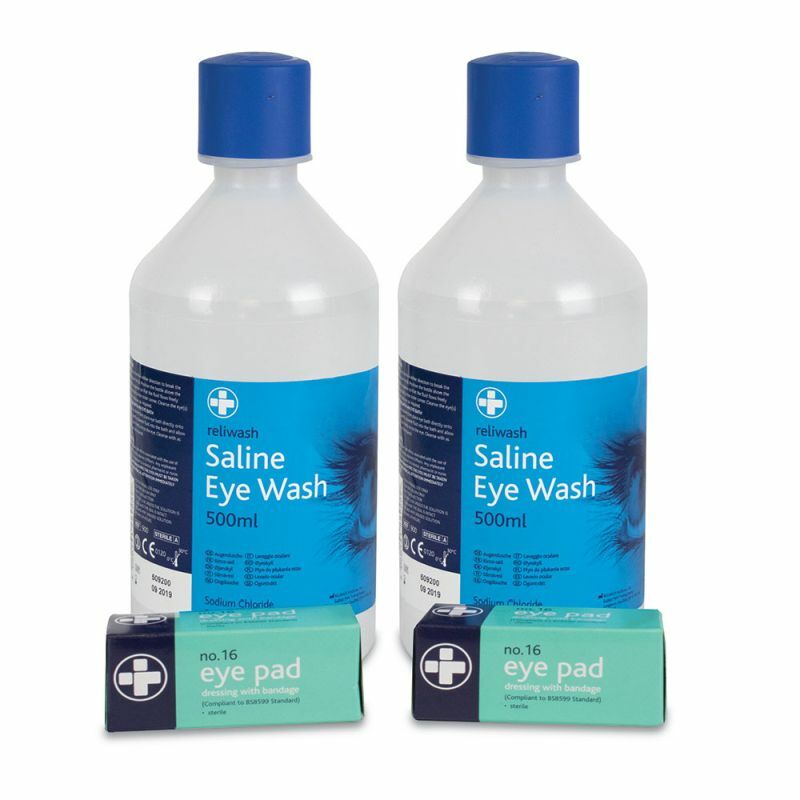 The Eye Wash Refill Pack is usually dispatched via First Class Royal Mail and delivery should be within 1 to 3 working days.